Audi will soon provide 4G LTE connectivity in its new A3 sedans, and the automaker recently revealed how much it will cost to add data services from AT&T. 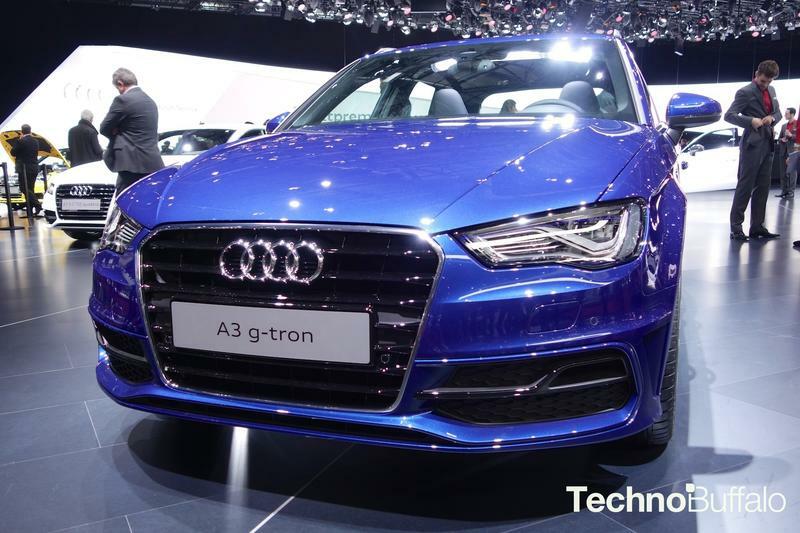 Consumers who choose to buy the new A3 (the G-Tron model, which we saw at the Geneva Motor Show is pictured above) will have two choices to start, including a 6 month plan that costs $99 and provides 5GB of data, and a 30 month plan that provides 30GB of data for $499. The data will power Audi Connect services, which will be available with a free six-month trial to start. "Having the choice of two data plans gives the consumer the opportunity to choose a contract that works best for their lifestyle and allows them to maintain connectivity in the vehicle for an extended period of time," said Scott Keogh, President, Audi of America. "The new AT&T data plans with 4G LTE connectivity will allow Audi drivers to enjoy seamless navigation, streaming and high-speed access to the Internet." Audi said that, after offering 3G connectivity, it found that drivers preferred choosing between either 6 or 30 month plans, instead of monthly option. The biggest problem we see, however, is that neither plan provides a whole lot of data. I consume about 2GB to 3GB of data per month on my smartphone, for example, and I know that usage is right around average. The use of in-car media streaming options will consume data quickly, but Audi said the existing plans were "based off typical usage in a vehicle." Audi Connect will provide access to streaming radio stations, Twitter and Facebook notifications, RSS feeds and more. Text won't consume that much data, it's the radio we're more concerned about. In the near future, you'll be able to add your Audi A3 to an existing AT&T Mobile Share Data plan, which will allow you to monitor your data usage and receive alerts as you near your data cap. That means you'll be able to see your car listed online where you see how much data/minutes/messages your smartphones and tablets have already consumed. Audi says it will roll out 4G LTE top additional cars, including refreshed models, in the future.